One thing’s for sure: leaky, aging windows on your home aren’t doing your utility bills any favors. Single pane windows just can’t beat the energy performance of quality double pane energy saving windows. In fact, the Department of Energy estimates that you can save $125 to $465 dollars a year just by getting replacement windows with Energy Star ratings. But in the long run, how much of a difference does that really make to your home’s overall energy consumption? Especially when you consider that an energy efficient window costs somewhere between $270 to $800 installed? 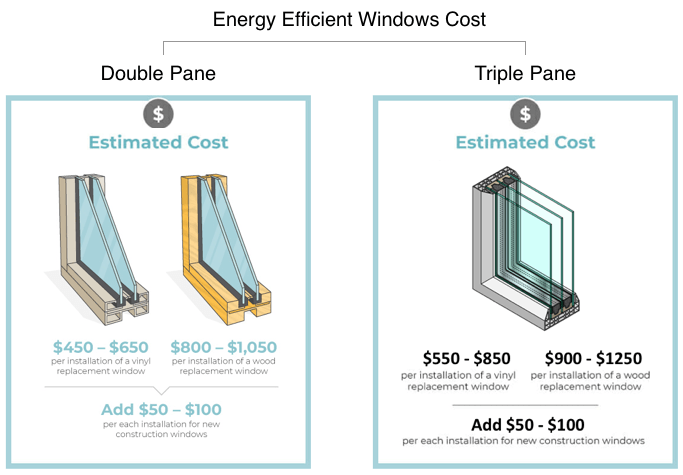 If you’re updating all the windows in your home, will your energy savings really be enough to offset that investment? Or is it better to wait, and make other energy improvements instead? Let’s take a look—and see which updates are the smartest for your home. Energy efficient windows, also known as energy saving windows, are designed to prevent your heated or cooled air escaping from your home. Their increased insulation reduces your home’s energy usage—and therefore, your bills!—while also making your home more comfortable overall. Whether efficient windows are worth it really boils down to the type of windows you’re replacing. If you have single pane windows with warped wood frames, for instance, you’re probably going to notice a significant difference in your utility bills. However, most homes are probably not in this situation. 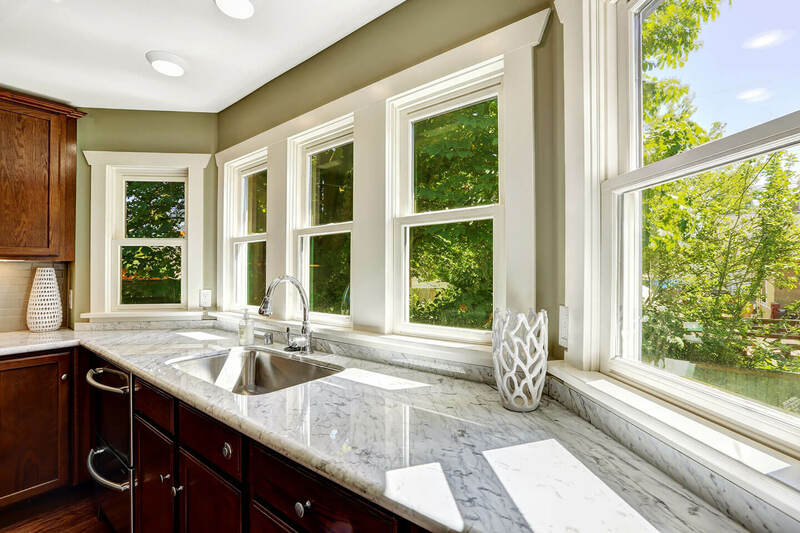 In fact, many houses already have double pane windows installed—and the energy savings for replacing double pane windows with ENERGY STAR rated products is much more modest. The Department of Energy estimates that this improvement will save you around $27 to $111, so it might take you much longer to earn back the cost of your initial investment. However, energy savings aren’t the only way to calculate the worth of an improvement. New windows also increase your home’s property value. In fact, a set of vinyl windows could add as much as $12,000 to your home’s selling price, meaning they’re a pretty smart idea if you’re getting ready to list your property. Customers who install Energy Star windows save an average of 12 percent on their utility costs throughout the year. That means a customer who spends $200 a month or $2400 a year would save $24 a month—or roughly $288 a year. Your savings could be even greater depending on which windows you’re replacing and the climate of your area. In fact, Energy Star studies show that replacing single pane windows with double pane can save between 21% and 31% off of heating and cooling costs. The same insulating qualities that prevent heat loss in energy efficient windows also help keep sound out, so your home will be more quiet overall. This is good news if you live in a busy neighborhood with barking dogs, lots of traffic, nearby trains, or any other source of regular noise. Energy efficient double paned windows and triple paned windows are made up of multiple sheets of glass sandwiched together with spacers. 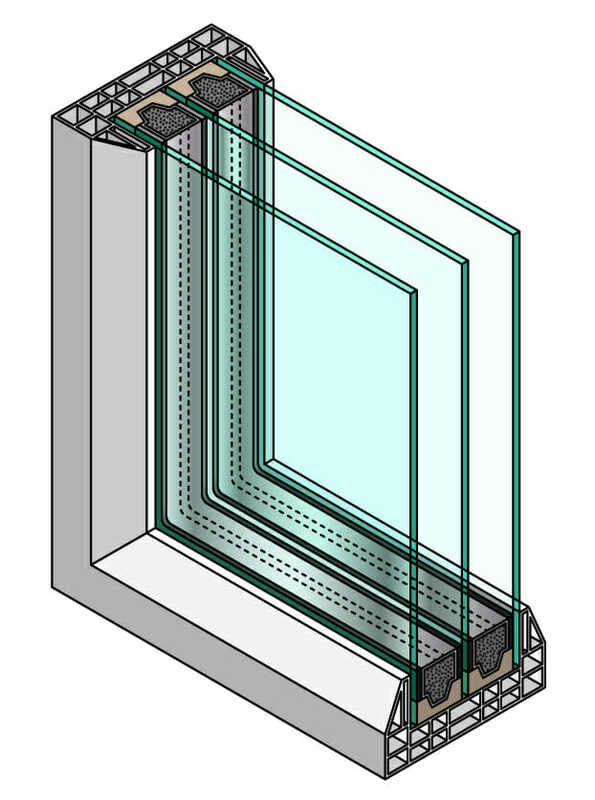 These multi-layer constructions create air pockets between the layers of glass, which are sealed shut to prevent any air from entering or escaping. Finally, they’re filled with different gases to increase their efficiency. Multi-pane windows are very effective at insulating homes and are a major improvement over single-pane windows, although they’re more expensive than single pane windows. Still, upgrading your windows is one of the most effective ways to increase your home’s insulation, so the extra price is a wise long-term investment. Low-e or low-emissivity coatings are an effective way to keep heat inside your home in the winter or to keep it out of your home in the summer. These coatings are designed to control the way the heat energy from sunlight moves around. An exterior low-e coating can prohibit the ultraviolet and the infrared light—in other words, the heat—from entering your home while still allowing the sunlight to pass through. In northern climates when heat gain is more desirable, a low-e coating is often used in the reverse. The full spectrum of light is allowed into the home as much as possible, but the heat energy it produces is trapped inside. This creates a powerful greenhouse effect that keeps a home extra warm during the coldest months of the year. The VT (visible transmittance) rating of a window shows how much visible light can pass through the windows. For windows on a darker room, like a home theater, the VT rating should be low, but for brighter spaces, like your kitchen windows, you’ll want to avoid low VT levels. Low-e coatings are slightly tinted and when you get several of them—or other special glass treatments—you can actually block quite a bit of light from your home overall. The added layers of glass, even when they are clear, can block out quite a bit of light. This adds up and you will ultimately lose a lot of free visible light, requiring you to rely on electric lights more often during the day. 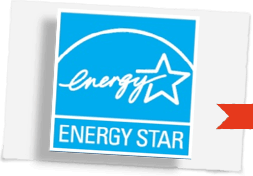 One of the quickest and easiest ways to find energy-efficient windows is to look for the Energy Star logo. Energy Star windows are highly efficient and need to meet a variety of standards and restrictions in order to earn the badge. Energy Star windows for northern climates are designed to let in infrared light that causes heat generation, so they trap warm air inside your home. These windows are double or triple paned, and their low U-factor proves their insulating capabilities. Energy Star windows for southern climates are made to keep heat out of the home. Their low U-factor also proves their insulation value, making them a highly efficient choice for warmer climates. An Energy Star tax credit was available to anyone installing Energy Star windows in their homes for up to $200 each, and a maximum of $500 overall, available up until 2014. Now that credit has expired, but other local incentives are still available. For instance, customers in West Oregon, Colorado Springs, Fort Collins and a range of other locations all qualify for a mail-in rebate program when purchasing the right type of energy efficient windows. There are also some locations that offer low-interest loans to utility customers installing efficient windows. Check with your local installers and distributors to find out about available incentives and rebates. Installing an energy-efficient window is necessary for saving energy, but it won’t do you much good if the window frame isn’t efficient as well. Generally, aluminum windows are the least efficient, even when they have a thermal window break in them. These windows simply conduct heat too well to be very efficient. When searching for an efficient frame, there are four options available including composite, wood, vinyl, and fiberglass. Each frame type has advantages and disadvantages, so do your research to find out which frame will work best for you. 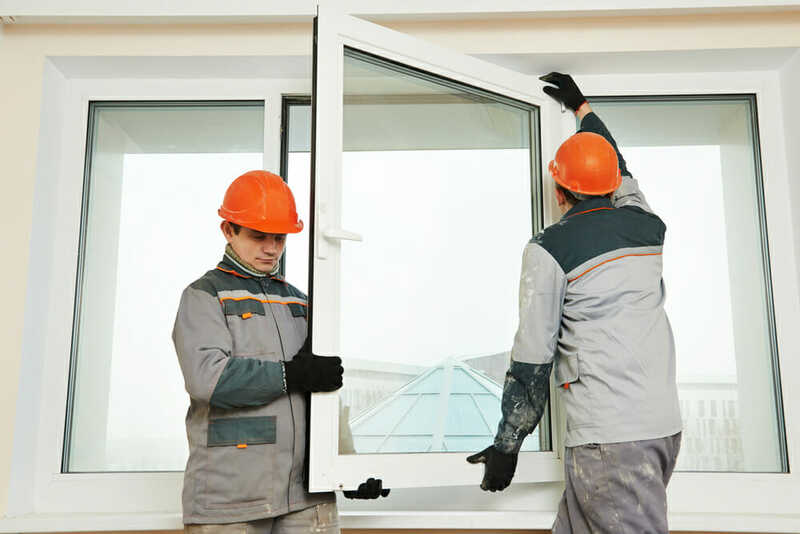 Energy efficient windows are only a good investment when they are installed properly, so take the time to find a reputable installation technician. Do your research by reading reviews and talking with potential installers before hiring—and always get an estimate before you move forward with a job. And finally, make sure that the installer handles the type of windows that you want on your home. Some manufacturers will include installation, and all installers should offer some type of warranty on their work. Quality energy efficient windows can save you quite a bit of money over time by decreasing your home’s energy output and lowering your monthly expenses. They’ll also give you superior performance for decades and increase your home’s value overall. Best of all, they’ll be offsetting your carbon footprint, which means that by choosing energy efficient windows, you’re living a more eco-friendly lifestyle. Going green has never been so appealing! The big takeaway here is that efficient windows will be a better investment in some homes than others, especially when paired with other energy-saving improvements like air sealing and insulation. However, if you already have double pane windows installed in your home, upgrading to ENERGY STAR windows doesn’t offer the best savings—especially compared with the cost-to-value benefits you’ll get with attic insulation, for instance. Each home’s energy profile is unique. Energy efficient windows might make a huge difference in one home, and have much less impact in the next. That’s where audits come in. A home energy audit can help you assess the different parts of your home that can affect your overall energy consumption—and prioritize the improvements you need. That way, if you do choose to install energy efficient windows, you won’t be losing all the benefits to leaky seals or bad insulation. And don’t discount the value of more comfortable and quieter home, which is all yours when you install new windows. That’s one benefit you can’t quantify!